OffiCenters Sponsors Saw Fest this Fall! 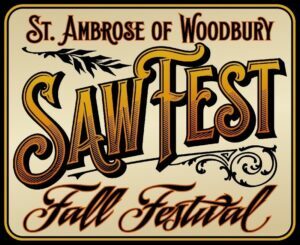 This year we will be a silver sponsor of the St. Ambrose of Woodbury Saw Fest. This Fall Festival will feature carnival rides, games for all ages, great food and live entertainment for all. Being new to Woodbury, we feel like this One-Community partnership will help our exposure in this vibrant community. Saw Fest is held September 21-22. Click HERE for more information.